Paulo Freire needs no introduction. His reflections on critical pedagogy and problem posing methodologies have dramatically shaped educational practice for decades. 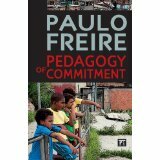 This recent volume, Pedagogy of Commitment, is a collection of interviews and short reflections that took place at the end of Freire’s career. They represent geographical diversity and local concern, occurring in Argentina, Chile, Nicaragua, Paraguay, and Uruguay. They demonstrate the breadth of Freire’s concrete engagement in Latin America, as well as the cohesive scope of his vision and its enduring relevance. There is a liveliness and energy conveyed in these informal or semi-formal occasions, and we get to see Freire’s lucid mind and compassionate concern at work in responding to concrete questions and practical problems raised by his audiences. Readers familiar with Freire’s work, particularly as expressed in Pedagogy of the Oppressed and Pedagogy of Hope, may not find new ideas in this collection. Furthermore, it will not make the best introduction to Freire’s thought for the uninitiated. 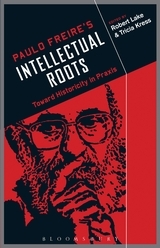 Understandably, given the piecemeal and unsystematic nature of interviews, Freire’s ideas and guiding convictions are conveyed sporadically and sometimes indirectly throughout, in a way that might be missed by those less familiar with his writings. For those already acquainted with and inspired by Freire’s project, however, this collection remains worthwhile for a number of reasons. This book provides a valuable glimpse into Freire’s thoughts and attitudes at the end of his life and career. We see that his vision and project have not changed in fundamentals, although he himself has evolved. He admits to his growth in understanding patriarchy, for instance, and the need to move beyond gender exclusive forms of expression (88-95). He is all the more convinced that education is art, is an aesthetic process that should not be reduced to formulae or fixed frameworks (16-25). 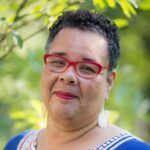 The relational and dialogical aspects remain paramount. We also see how Freire responds to later developments in world economics and geopolitics, such as the fall of Soviet socialism, supposed neoliberal triumph, and late capitalist order (33-40). Here his emphasis on hope becomes critical. Freire remains hopeful and all the more committed to resisting the effects of socio-economic and political processes that dehumanize society’s most vulnerable. The pragmatic nature of his engagement becomes clear. 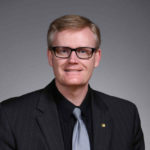 The increasing prevalence of technocratic and abstracting forces that excise the human element in education (and social life more broadly) mean a doubling-down of efforts to connect, relate, engage, and dialogue, as well as to foster a classroom context that equips students as agents of their own destinies. There is no postmodern turn to his practice, no sense of irony or contingency to the goals of liberation. For Freire, the onslaught of global capital means educators must fight harder. As the title of one of the more memorable and hard-hitting interviews conveys, “The Confrontation is not Pedagogical, but Political” (33). But the fight remains hopeful and a labor of love. This volume provides a resource for encouragement and renewal of vision for educators influenced by Freirean pedagogy. It gives a glimpse into the life and heart of the man, near the twilight of his days but still full of passion, conviction, and hope. The book is full of choice pieces of wisdom and reminders of the significance of the cause and necessity of endurance.